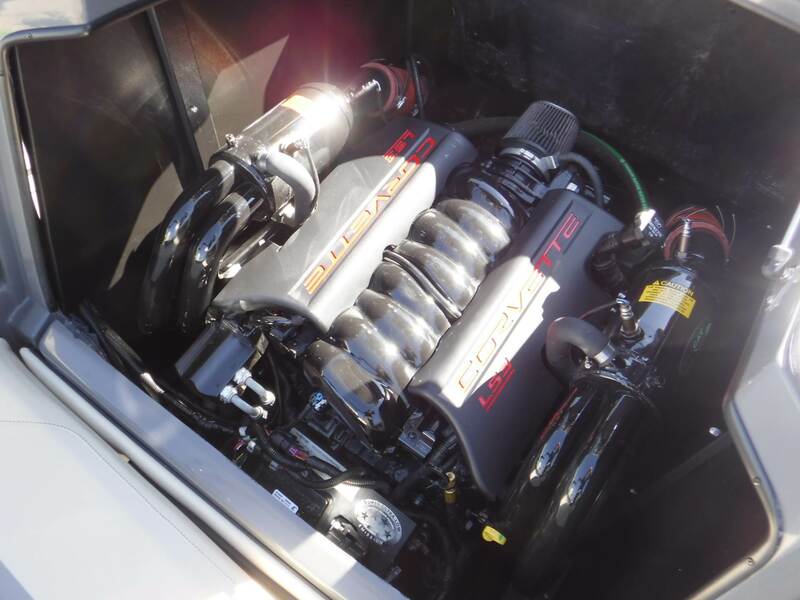 This is a brand new boat (new hull, deck, interior, touchscreen, etc) that was built with a Pre-Owned engine package: a 2014 Indmar 455 HP 6.2L Corvette LS3, with 196 hours. The motor and tower were removed from another Tige boat (all work performed by Factory Tige), and a whole new Tige was built for them. 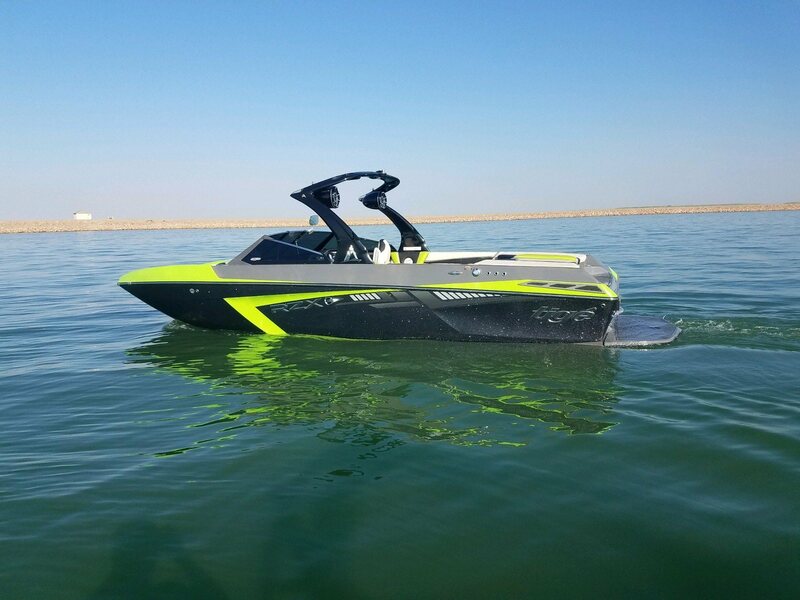 We have lake tested this boat and dialed in the propeller for 3,000-6,000' elevation, but also have a propeller option for 0-3000'. 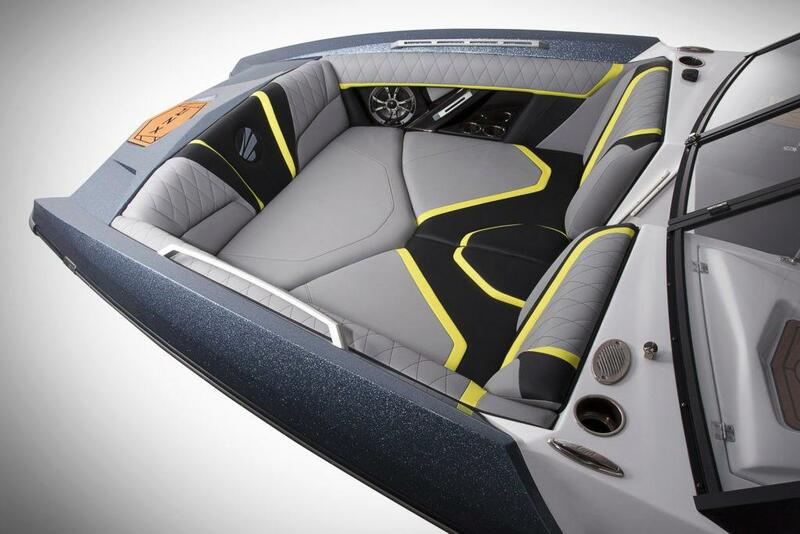 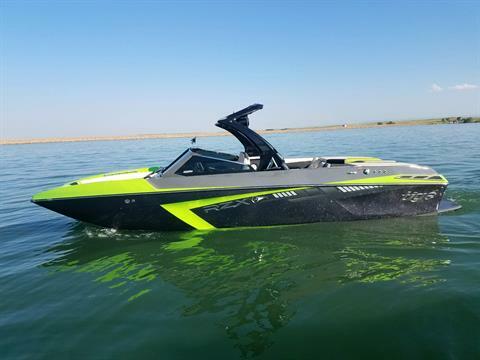 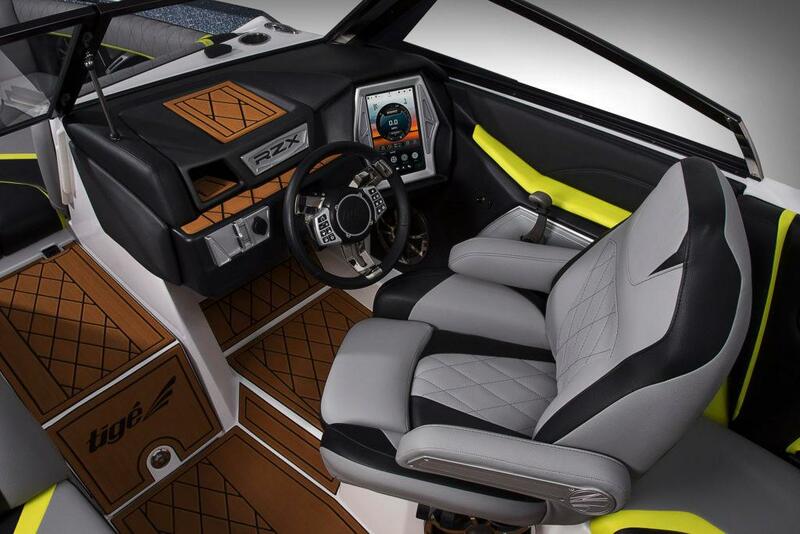 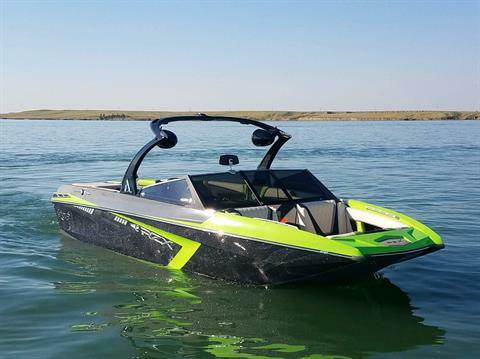 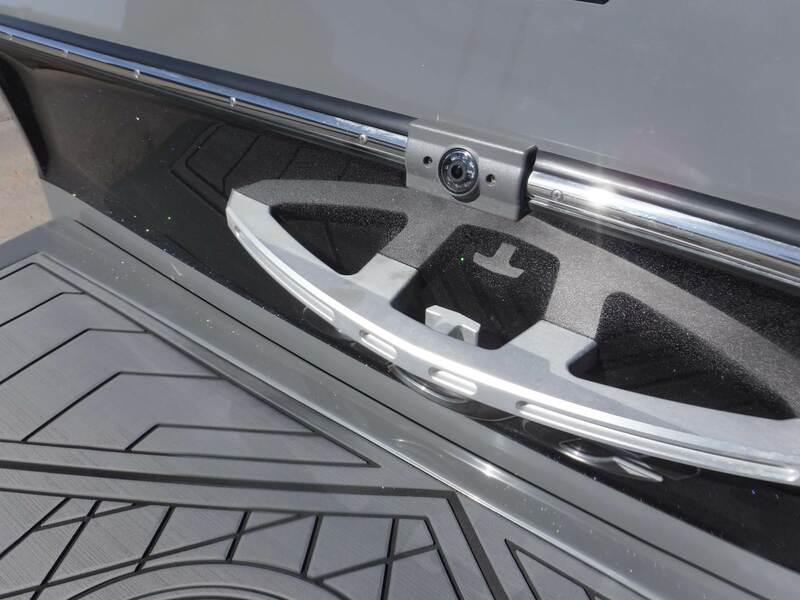 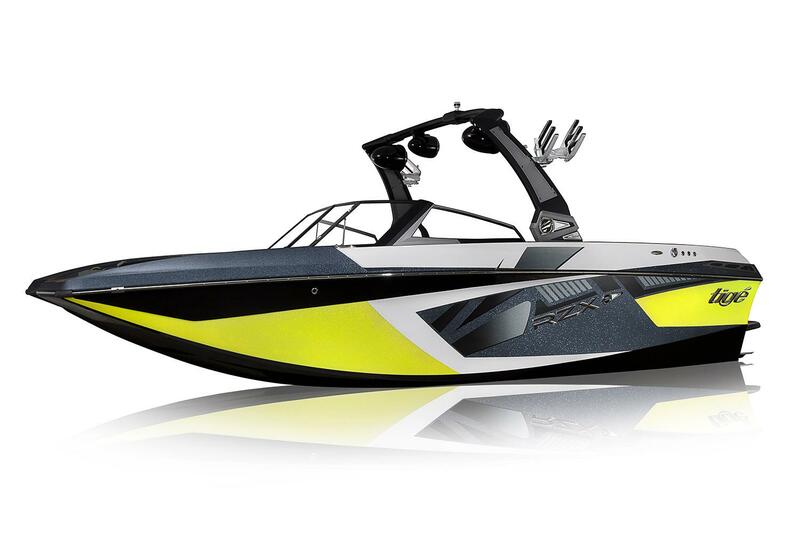 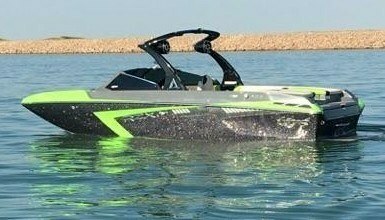 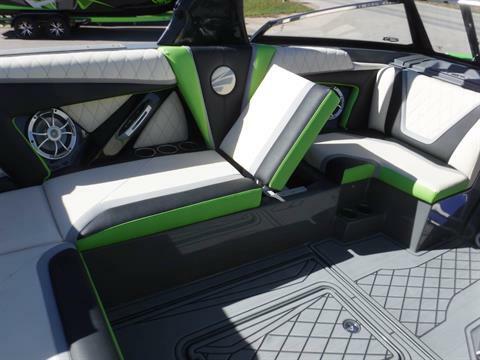 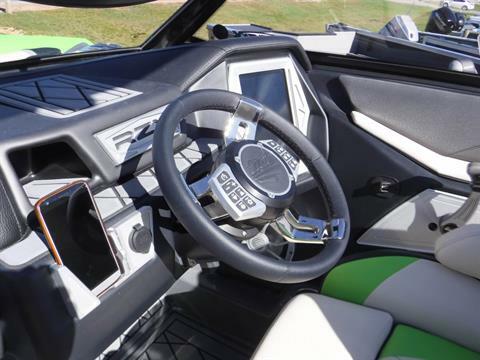 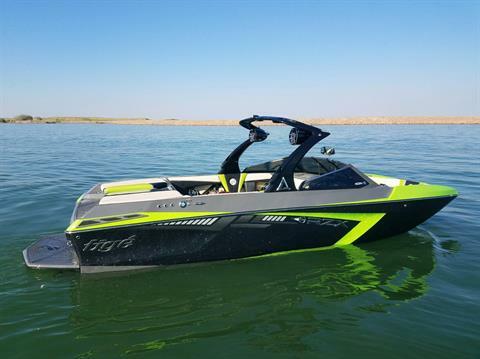 This boat is capable of 40 mph and has tons of torque, even with ballast and friends. 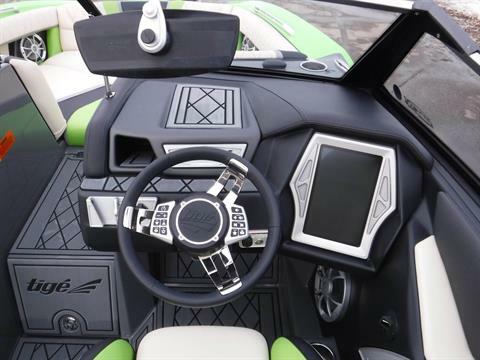 Includes TAPS3 surf system, Surf + Wake XL Under-Floor Ballast System with plug and play additional ballast (4,000#), Tivoli Smart Wheel steering wheel controls behind Low-Pro custom upholstered helm, Alpha Z tower with Alpha Z Swivel Board Racks (not in pics, but are on the boat now), Tige Clear 10.8" User Experience touchscreen with Savable Rider presets, ZeroOff GPS Cruise Control, Heavy Window Tint, Tower of Power stereo package with Rev 10's, Z cline seat, phone holder, rollout cooler, integrated rear surf locker, port transform flip up seat, Stainless steel rubrail + Stainless appearance package + billet accents, Dual Fuel Fills: Port and Starboard for either-side fueling, Tigé pro mirror, rear view camera, upgraded paint scheme, polyflake paint upgrade- vivid black, Custom Diamond Interior in almond, onyx black, flint grey, and sublime, SynGraphite Gatorstep Flooring throughout, Tige 5 boat-only warranty, 2014 trailer has rear step-mates, treadplate step panels, ratchets, bow boarding ladder, and 18" black Alloy wheels. MSRP would normally be $160,000+. 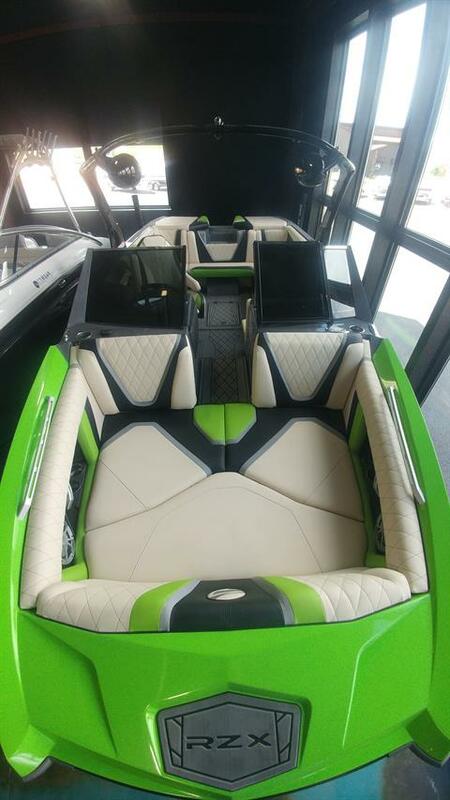 Save some cash on this one. 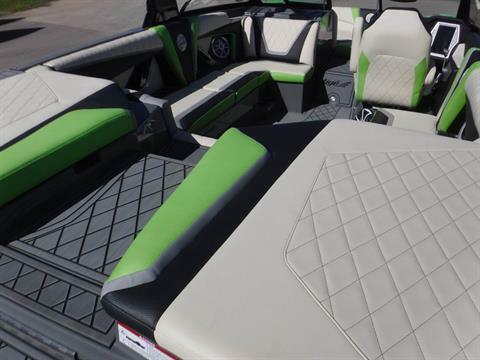 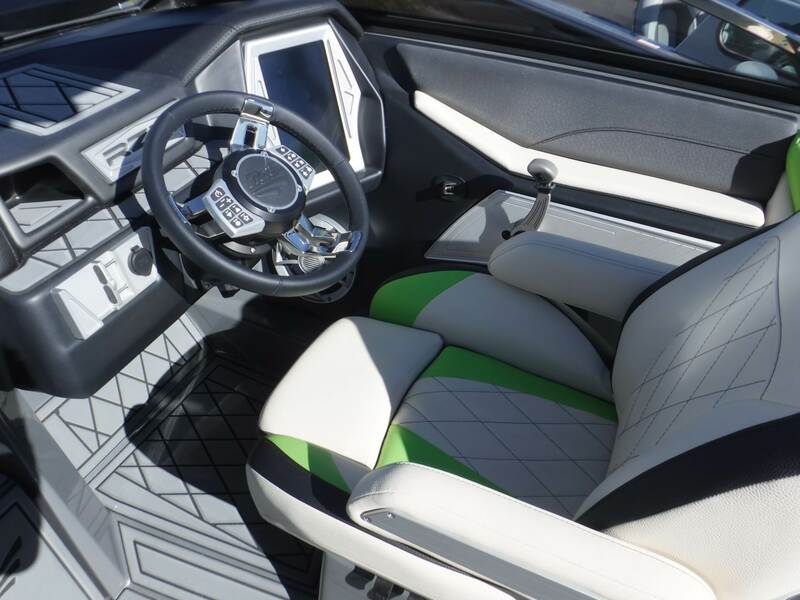 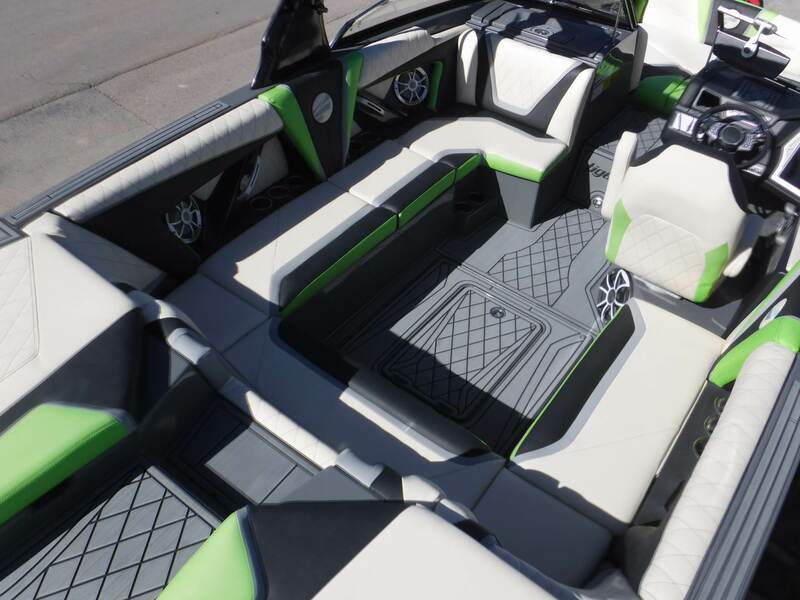 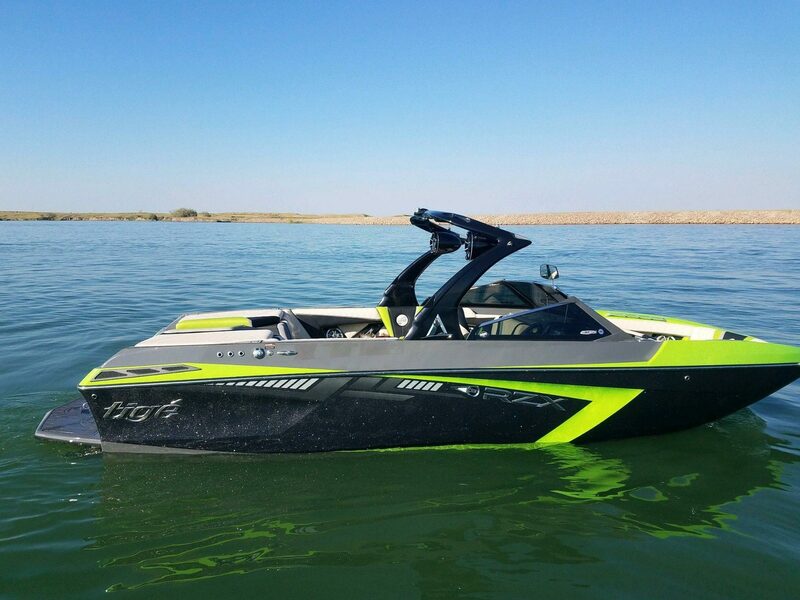 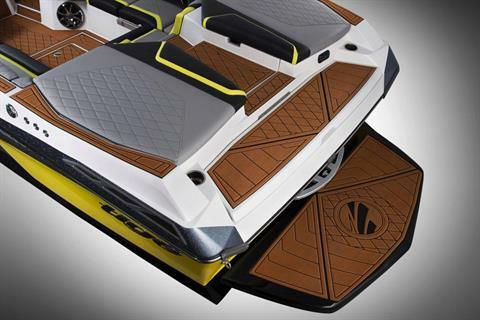 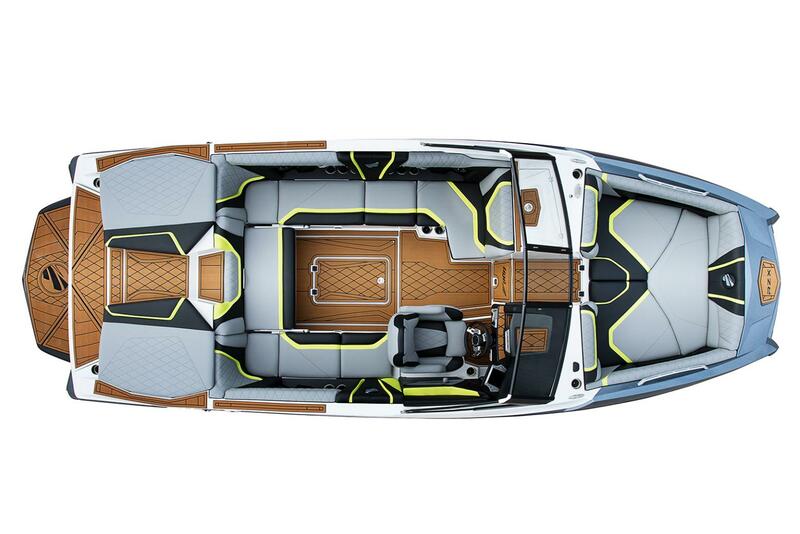 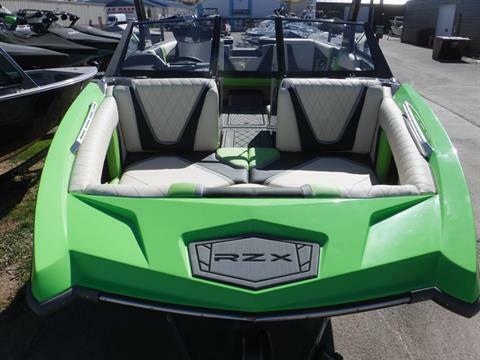 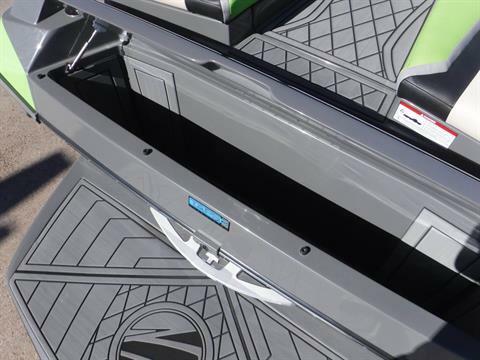 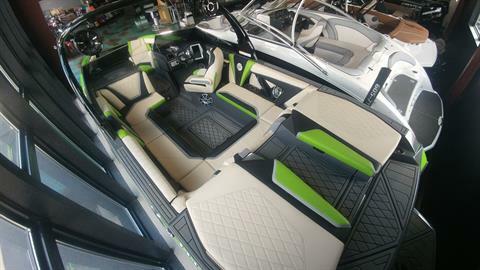 Sale Price $135,999 - $6,000 Tige Sale = $129,999 plus $1,999 destination charge will be added to cover the shipping from the factory to our facility. 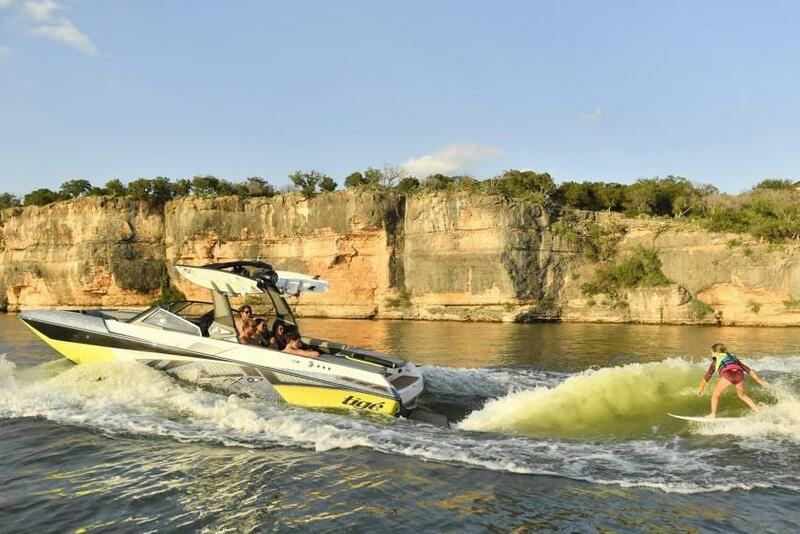 No other fees or charges.